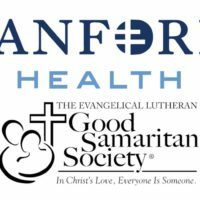 The merger between Sanford Health and the Evangelical Lutheran Good Samaritan Society that wasn’t supposed to officially take place until January 1, 2019 has now been rescheduled to happen on November 1, 2018. The process of bringing the two groups together as a combined enterprise has cleared government reviews without objection. Completing this process allows the Sioux Falls-based organizations to proceed with plans to combine as one. Leaders feel the previous hope of bringing the two organizations under one umbrella by the start of 2019 can be expedited with a new goal of combining on Nov. 1. The Society Membership overwhelming approved the restated Articles of Incorporation, enabling the plan to bring the organizations together with a vote on June 26. The board of each organization had approved an affiliation agreement prior to that vote. Currently, the Society has 19,000 employees in 24 states providing senior care services, while Sanford has 28,000 employees in nine states offering clinic, hospital and health insurance services. At this time, there is no word on a possible name change for either organization.